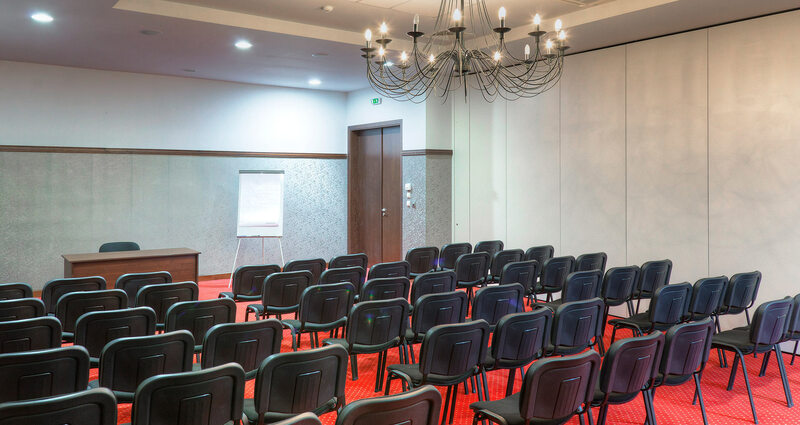 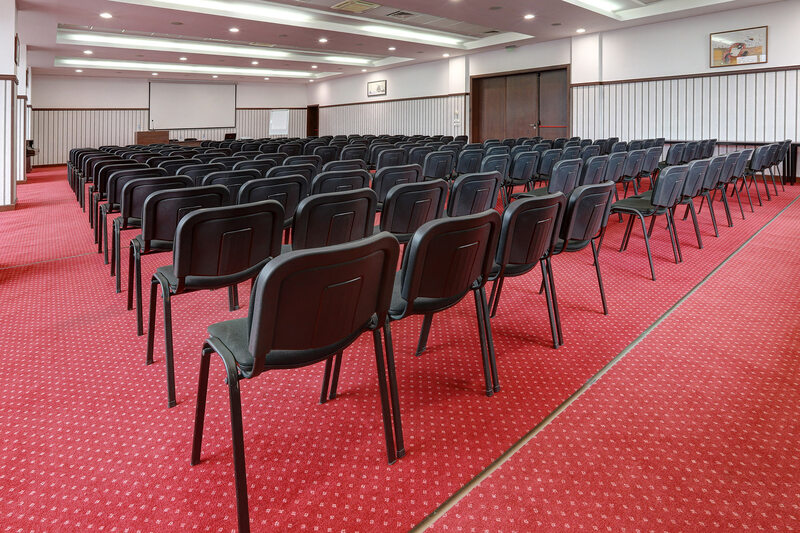 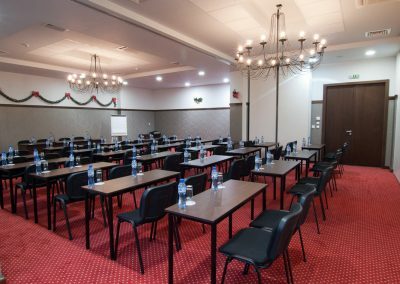 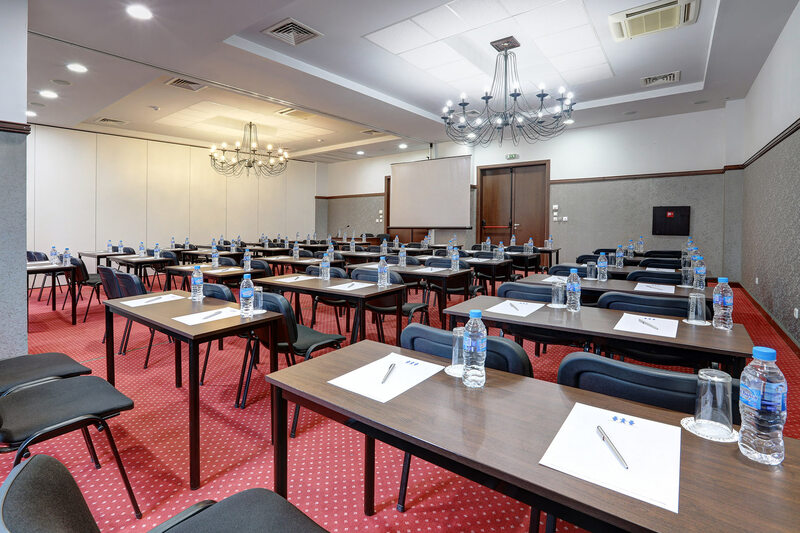 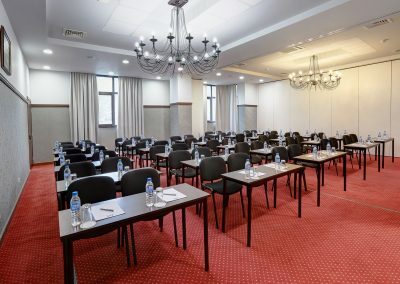 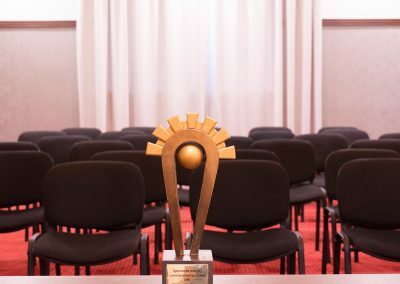 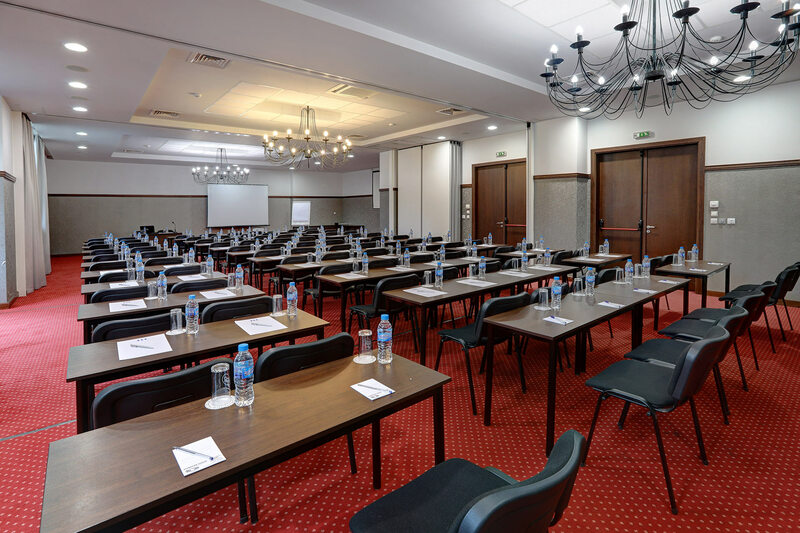 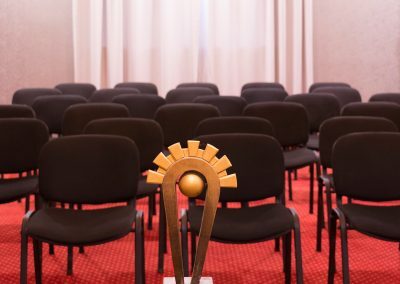 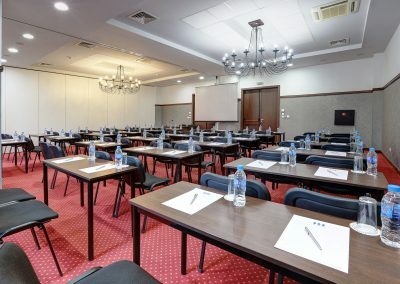 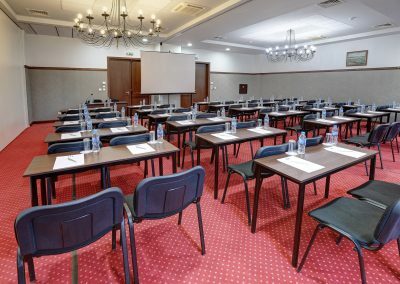 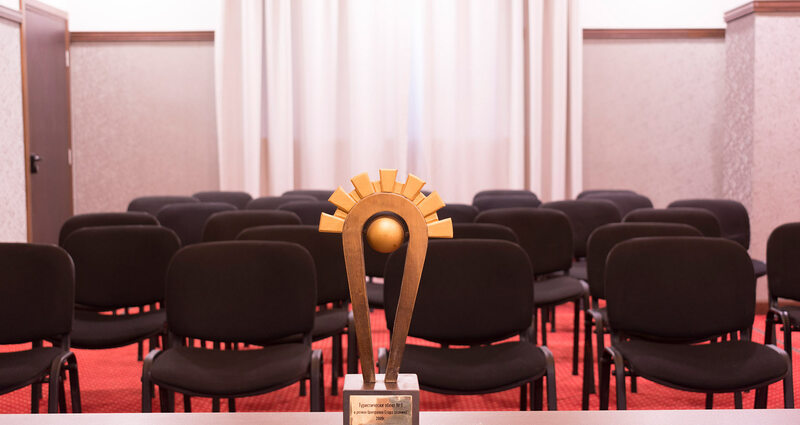 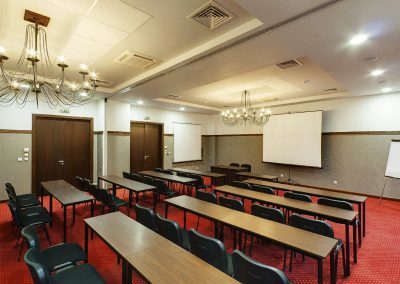 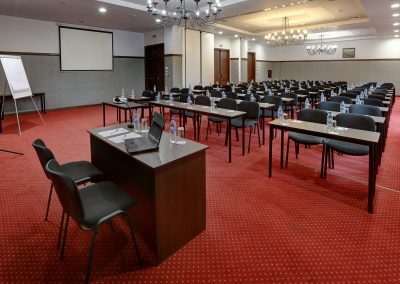 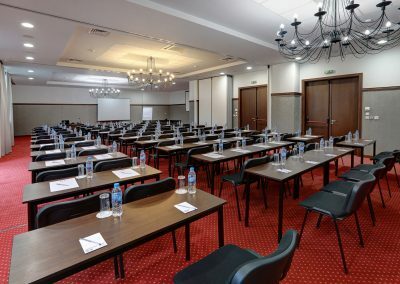 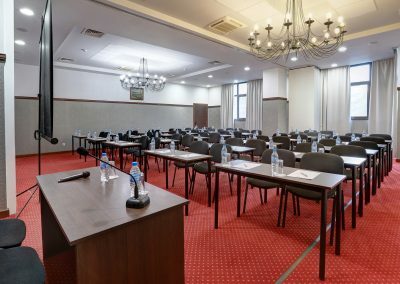 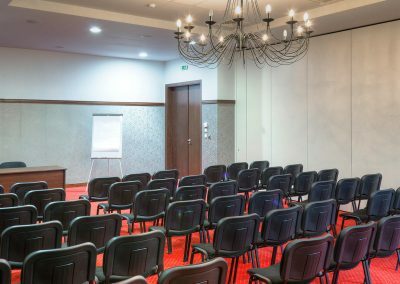 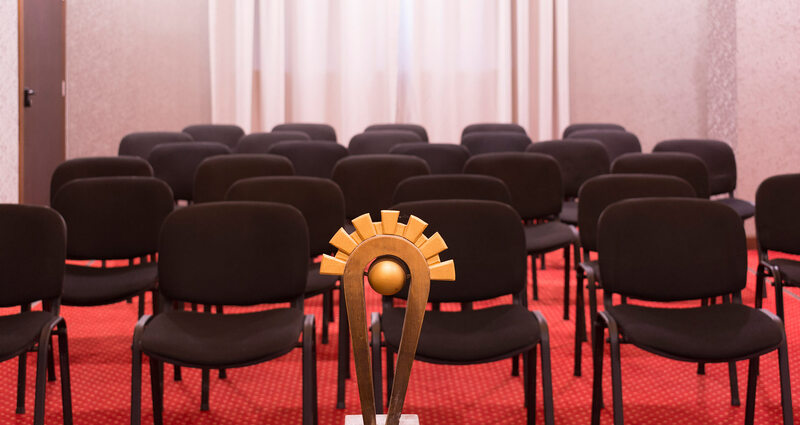 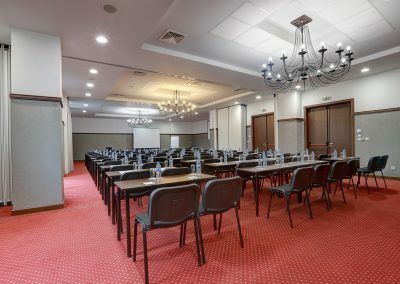 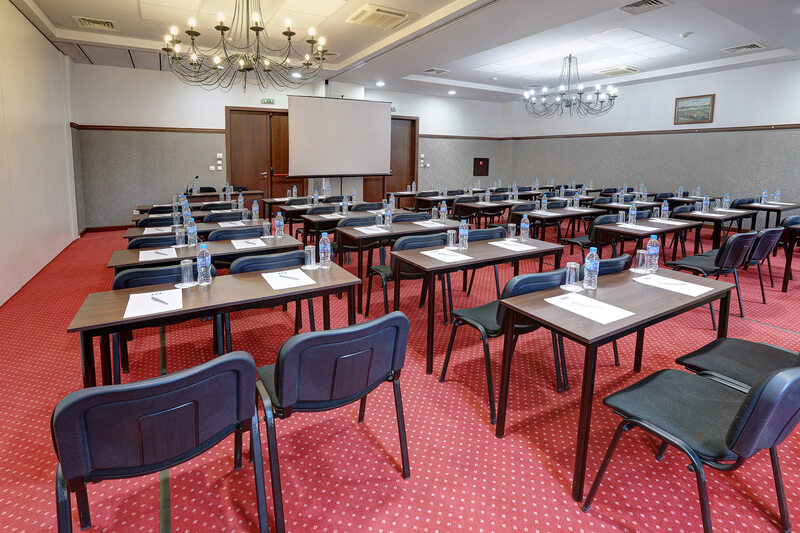 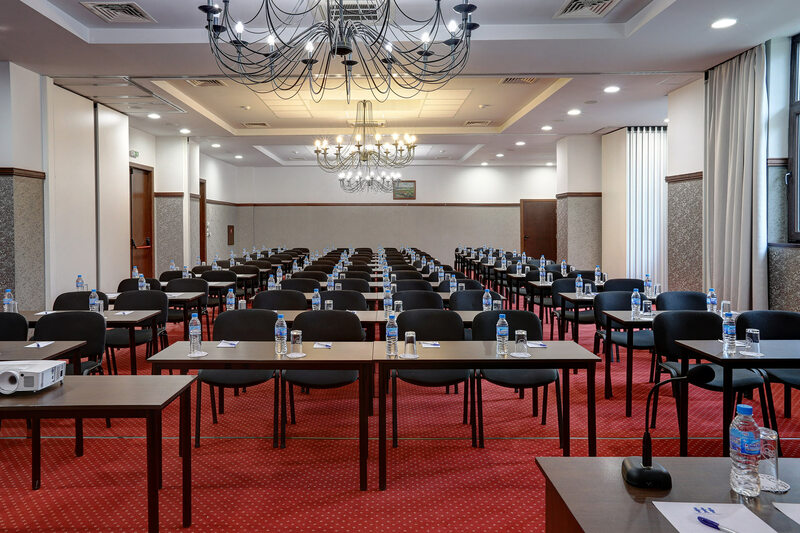 The functional combination of convenience and comfort of our conference halls, as well as the flexibility and professional attitude of our team, guarantee the huge success of your event! 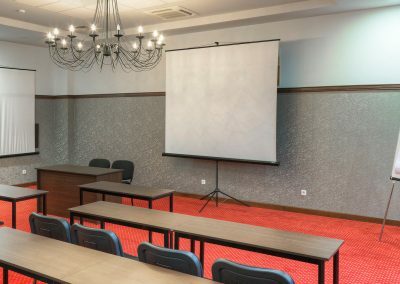 CONFERENCE WITH STYLE AND COMFORT! 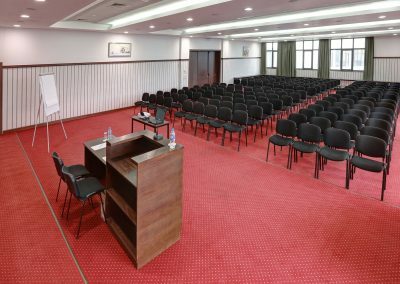 We offer you 4 conference halls, suitable for any type of event-lectures, trainings, conferences, team building, wedding celebrations, special occasions and exclusive events. 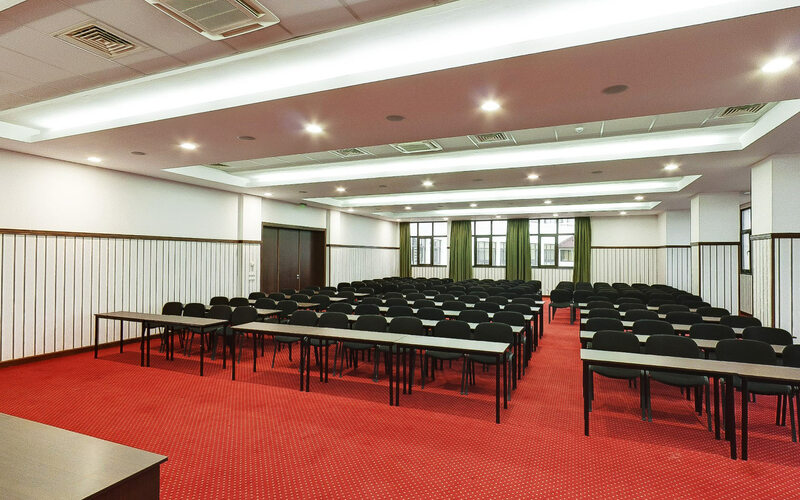 Varying in size and functionality, the halls offer different types of arrangement. 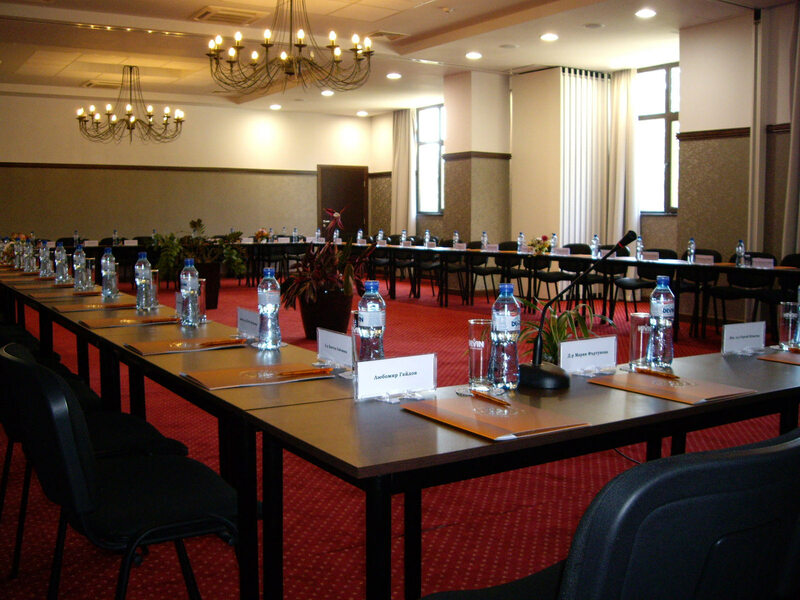 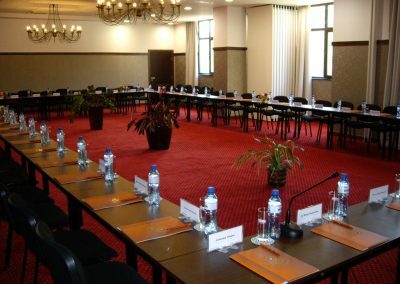 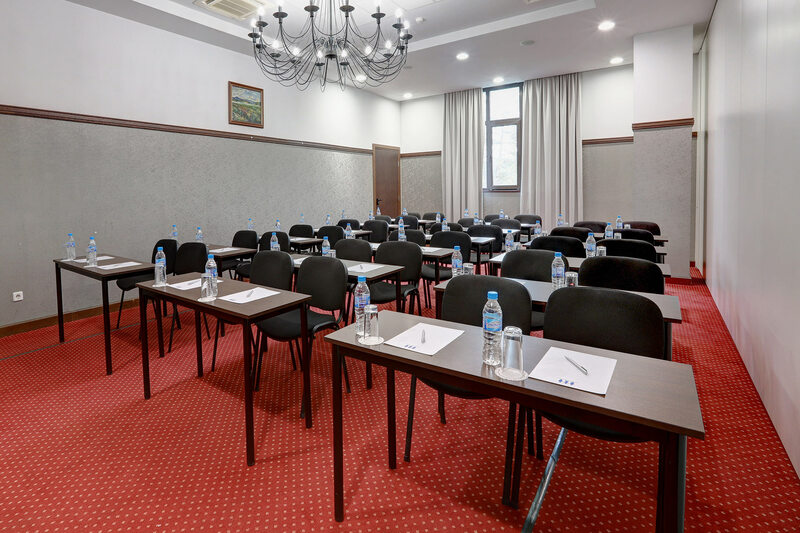 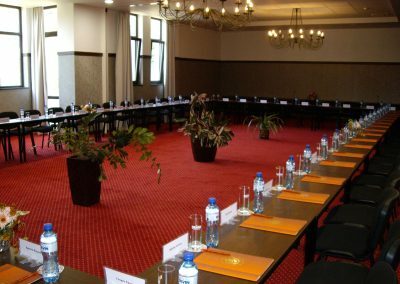 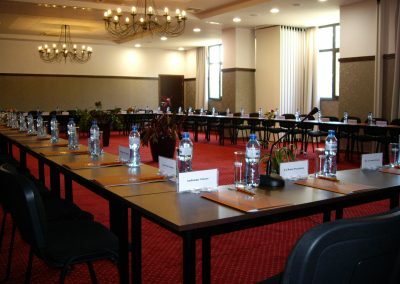 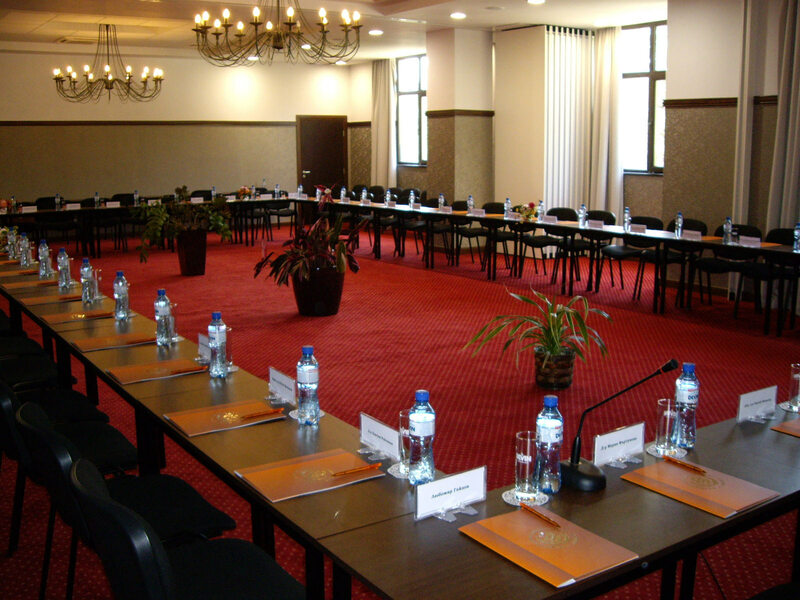 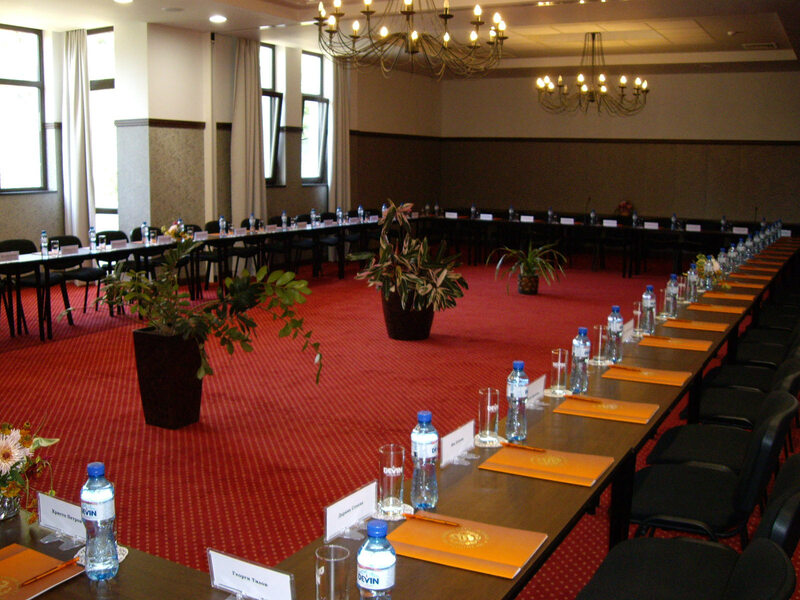 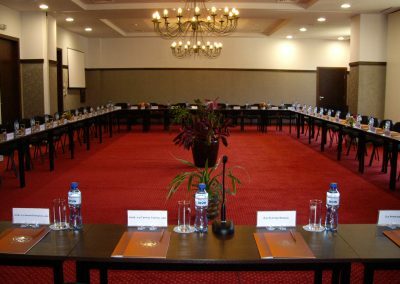 Conference centre of hotel Kalina Palace is situated at the level of the reception, restaurant and lobby bar. 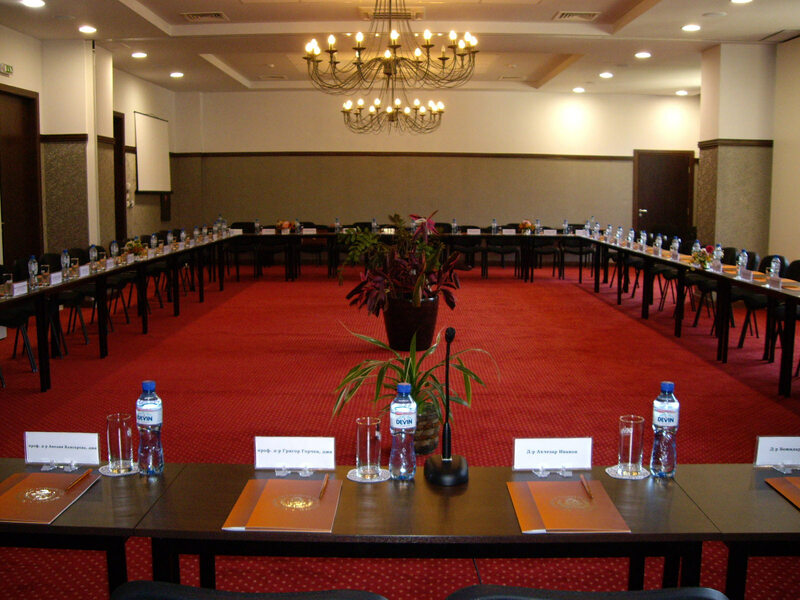 In this way we create the necessary conditions for excellent communication with our team at any time during the event. 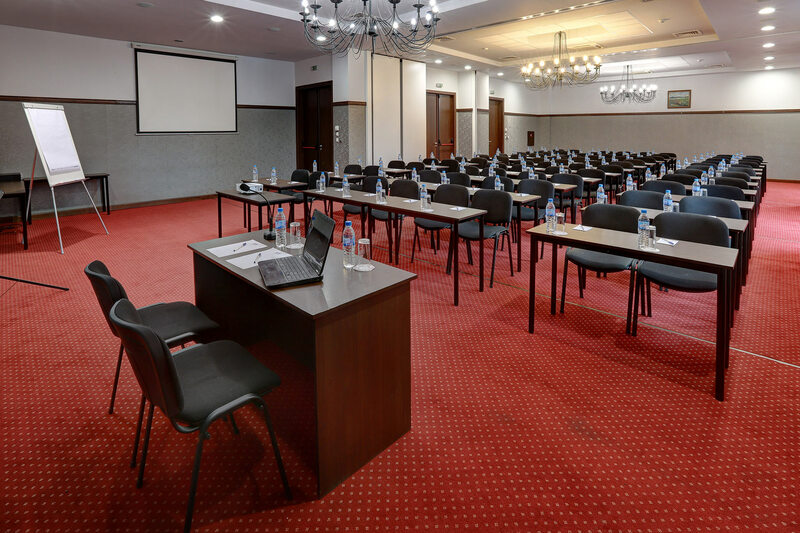 The screen walls between the main halls are made of soundproof slidable Huppe screen walls, which allows joining halls or separation of conference space in accordance with the size and needs of any event. 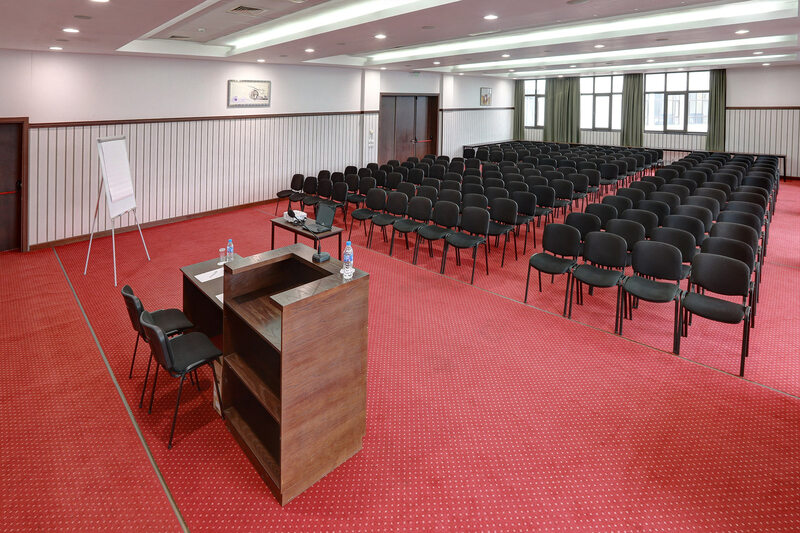 The Tryavna hall is the largest hall of our conference centre. 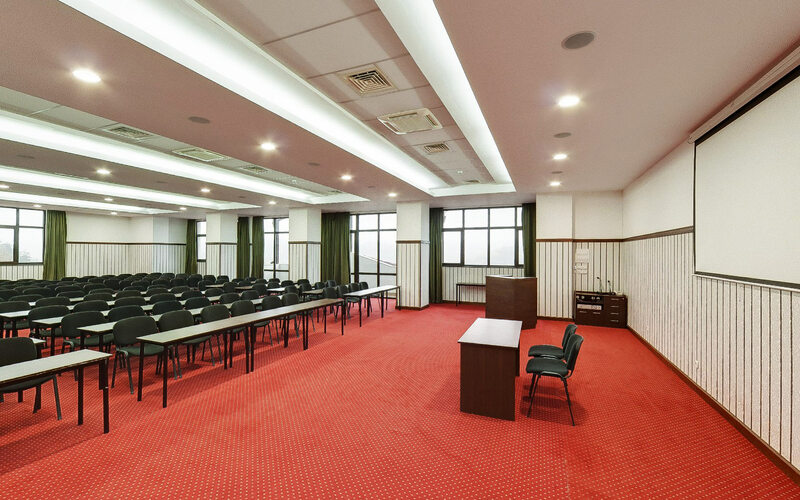 It has maximum capacity of 330 places and offers modern equipment. 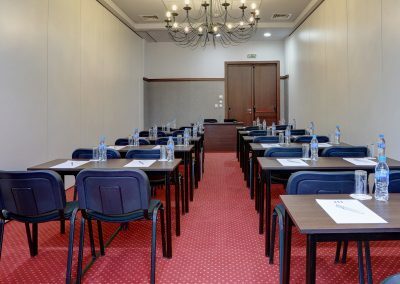 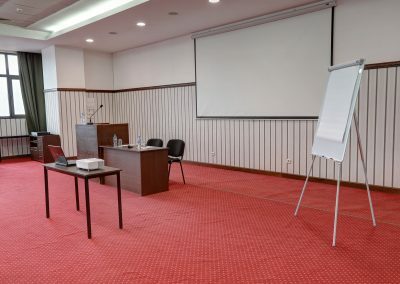 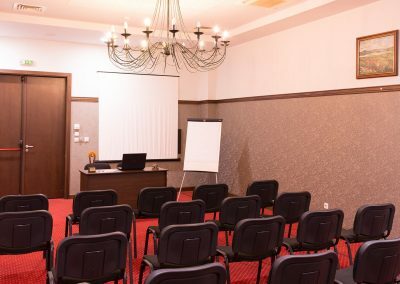 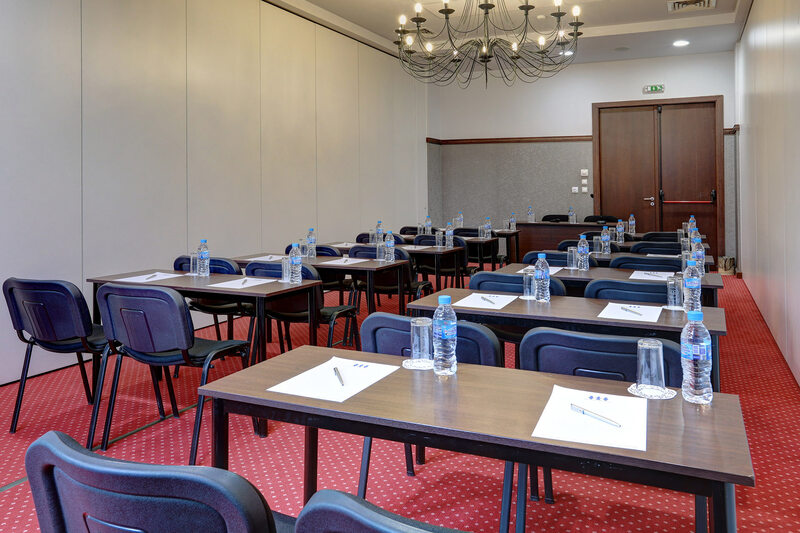 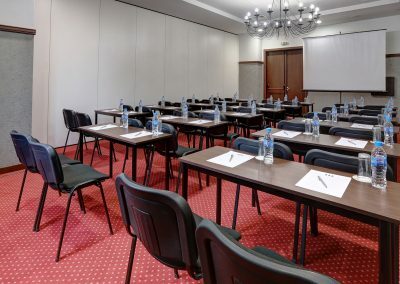 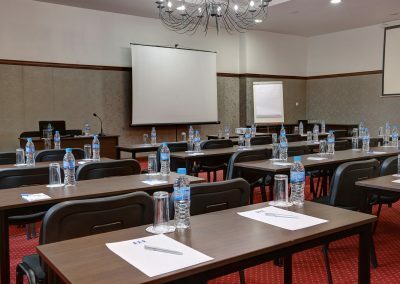 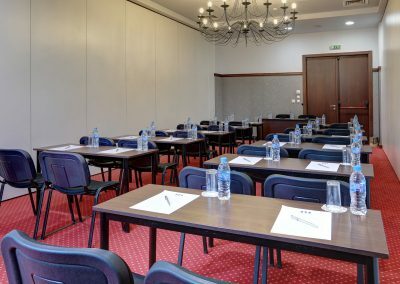 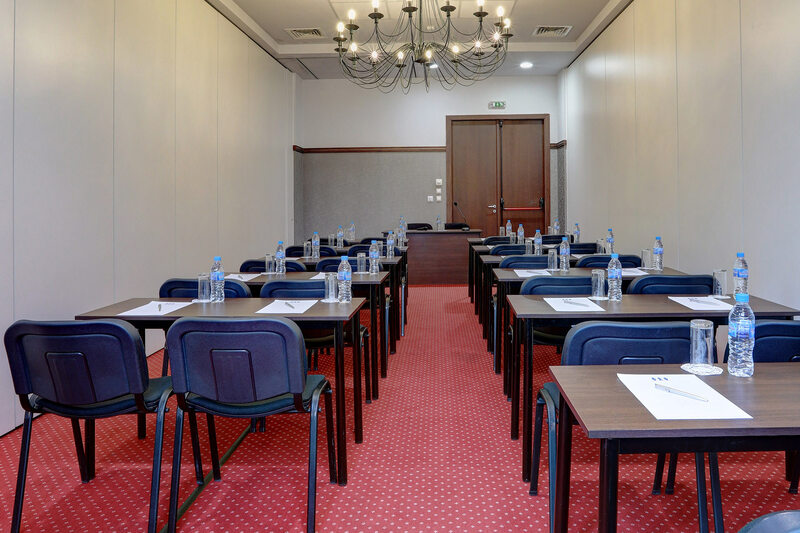 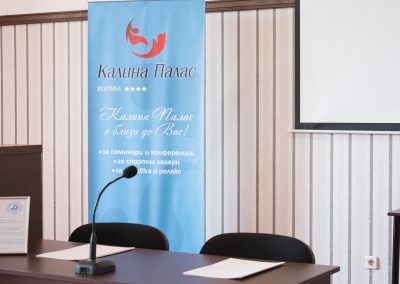 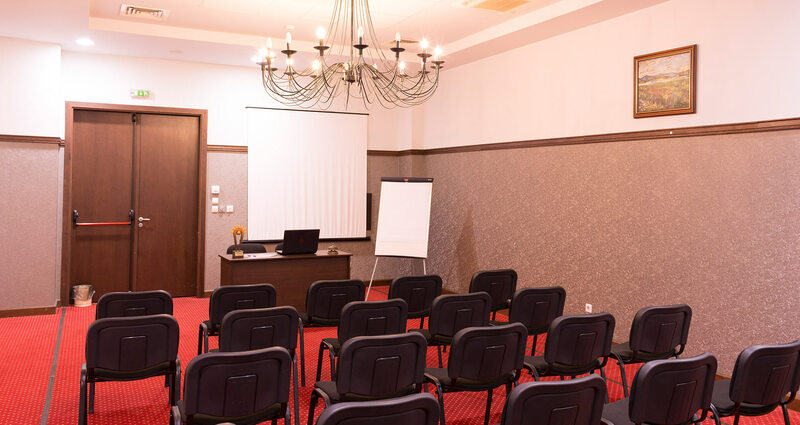 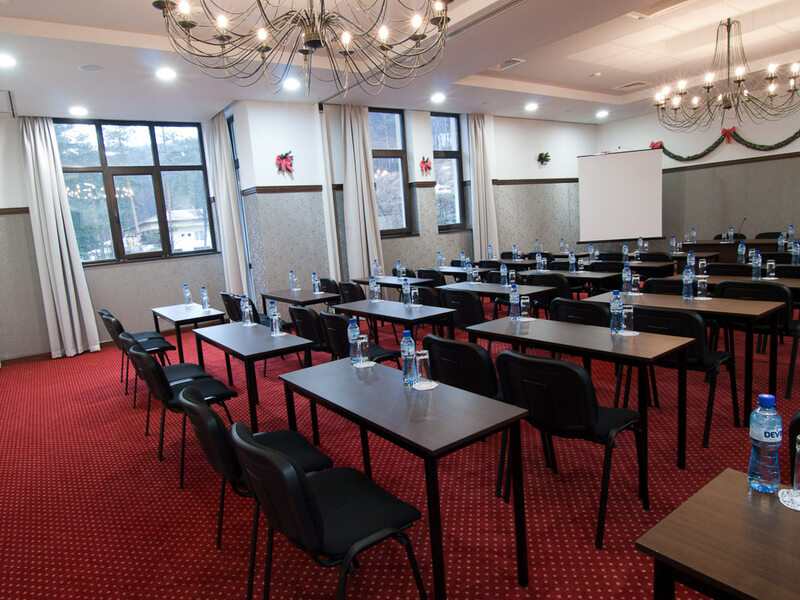 Tryavna hall is the perfect place for organizing seminars and conferences, as well as wedding receptions and special events, that require privacy. 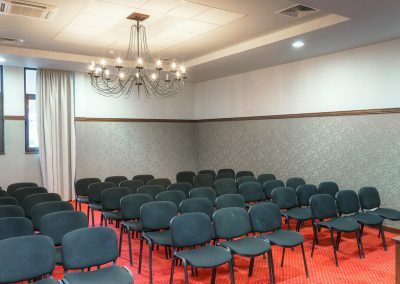 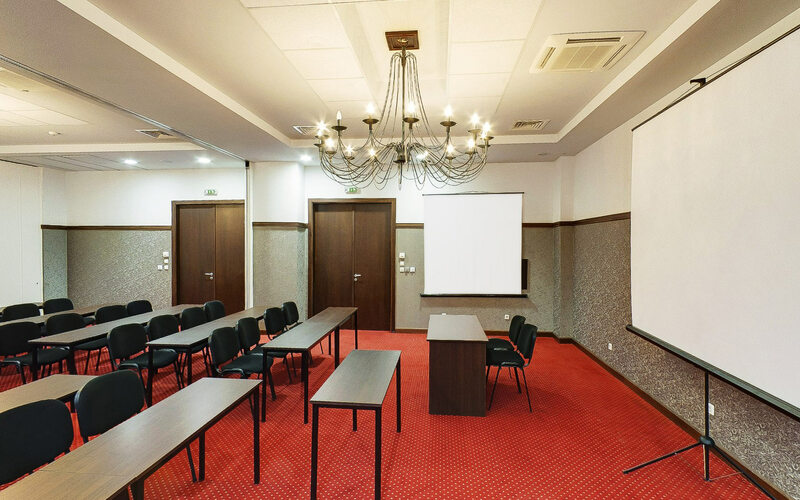 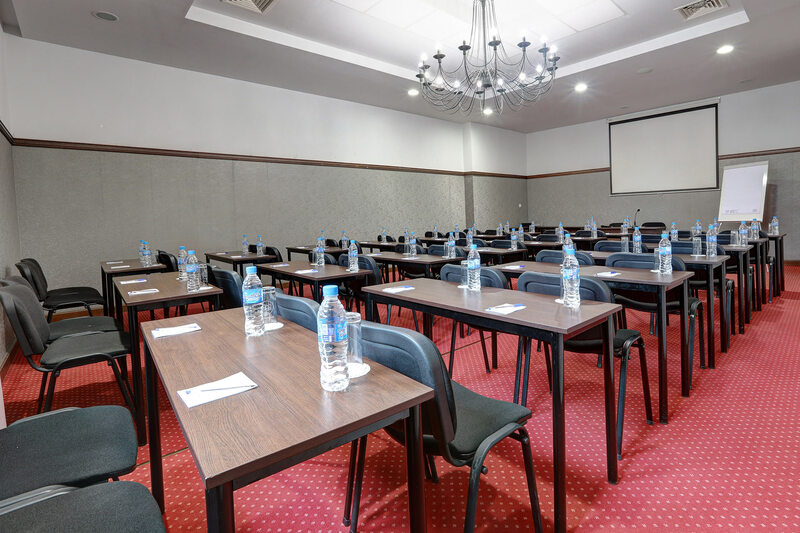 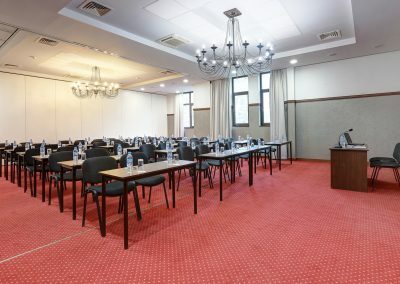 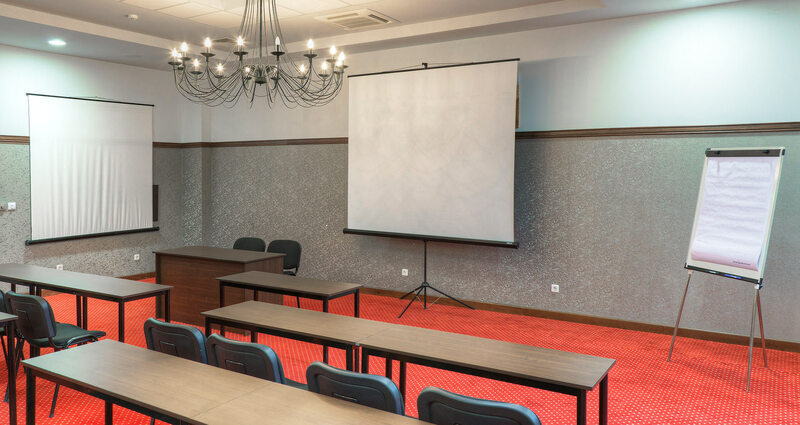 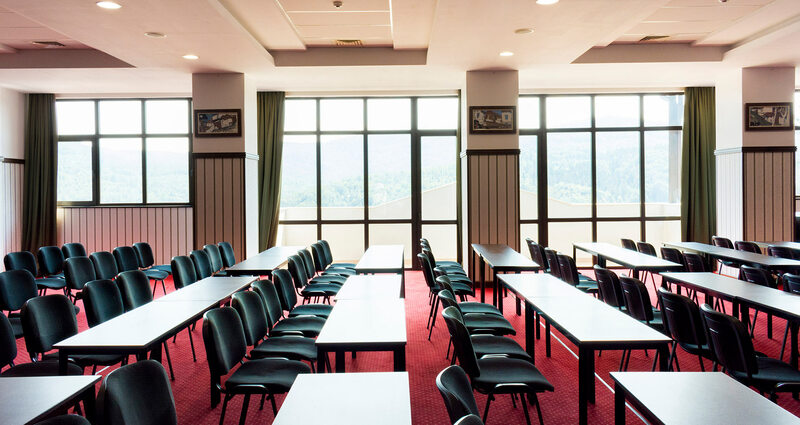 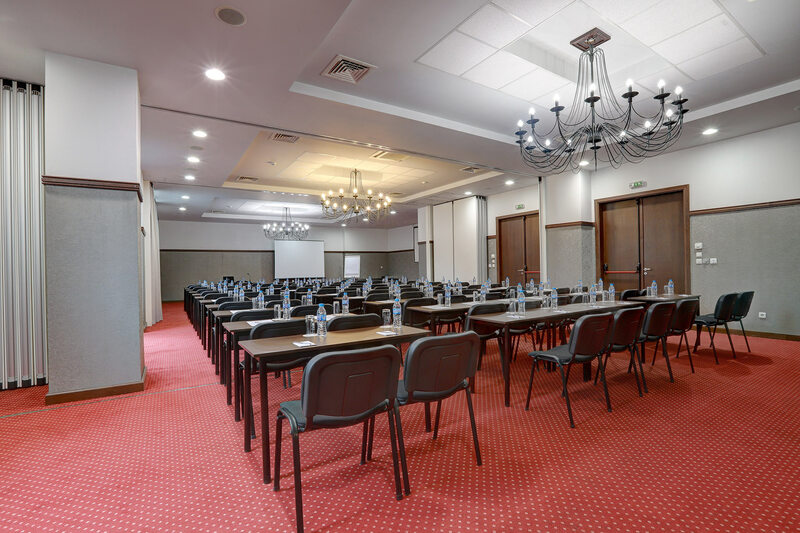 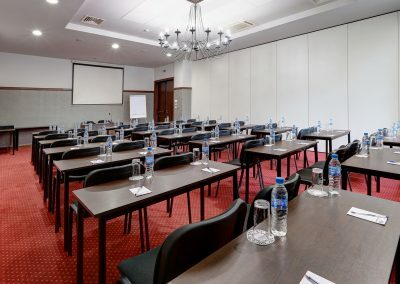 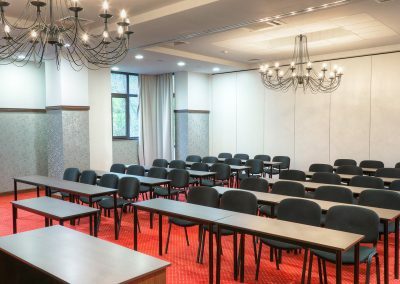 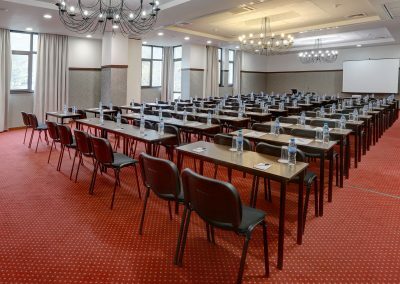 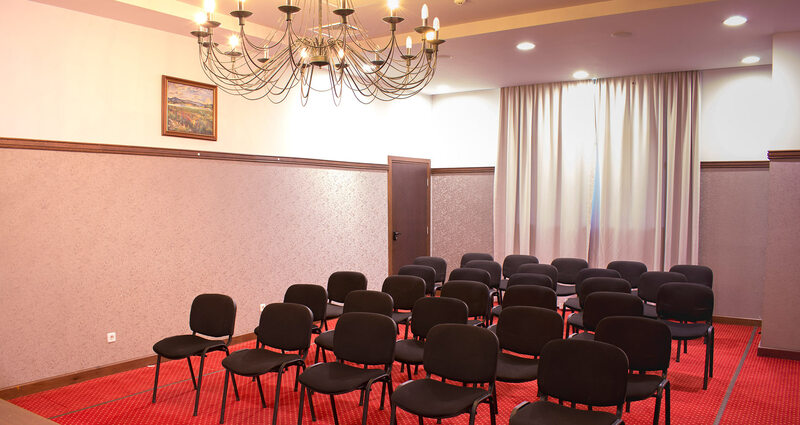 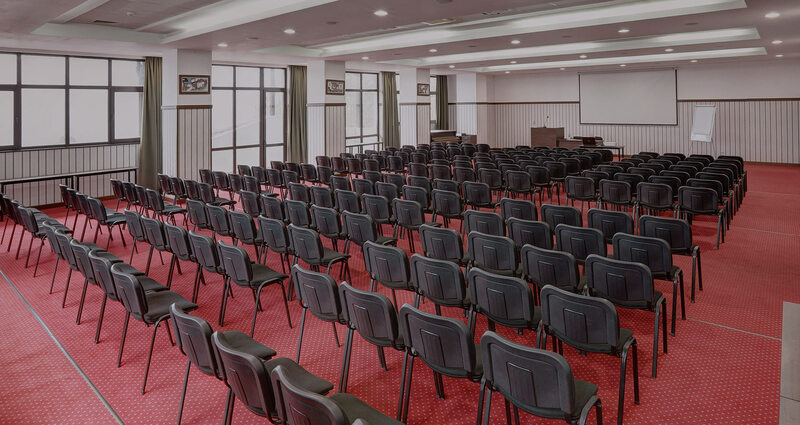 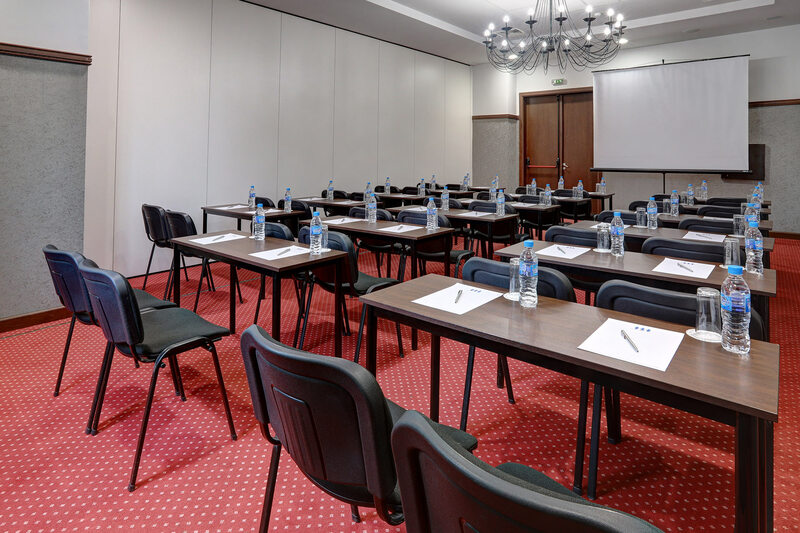 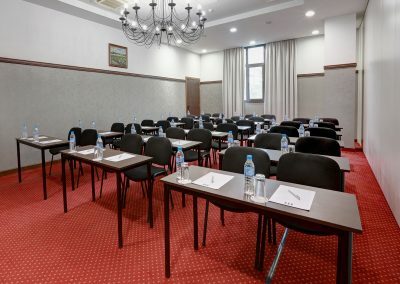 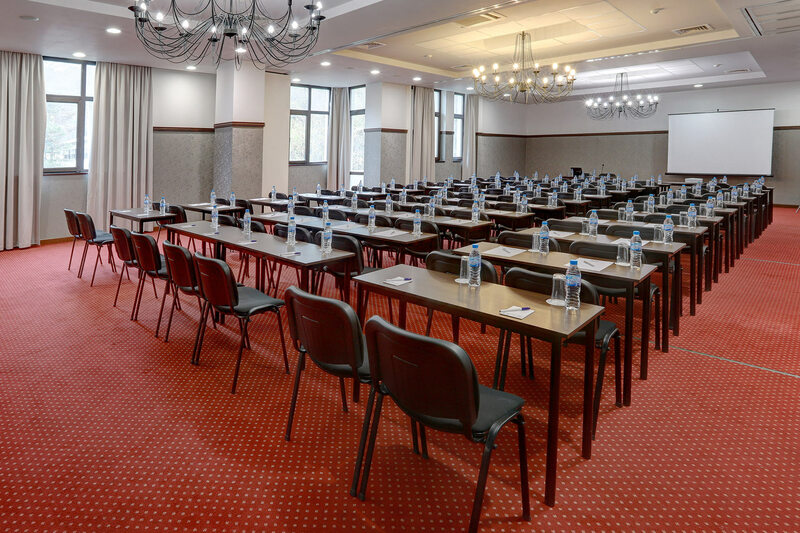 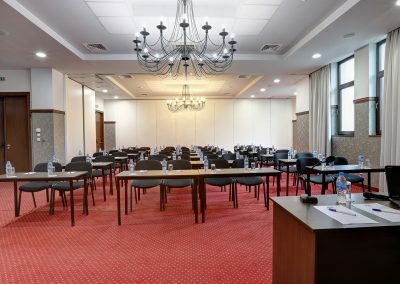 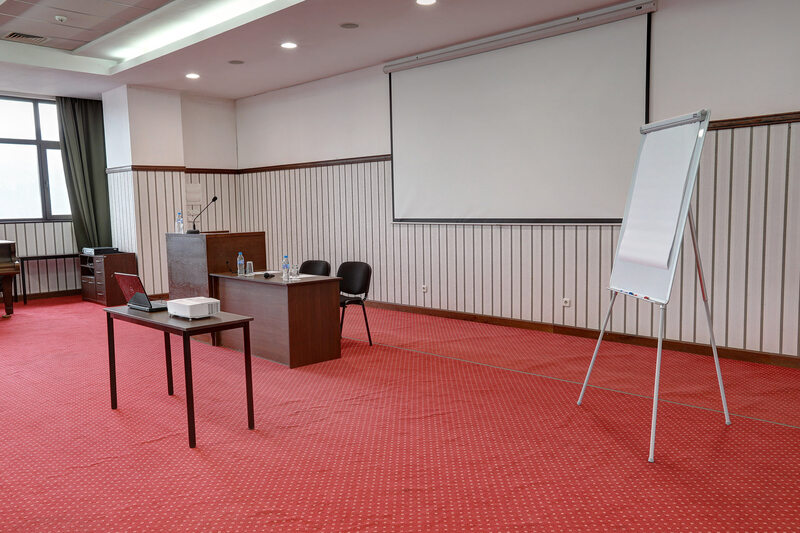 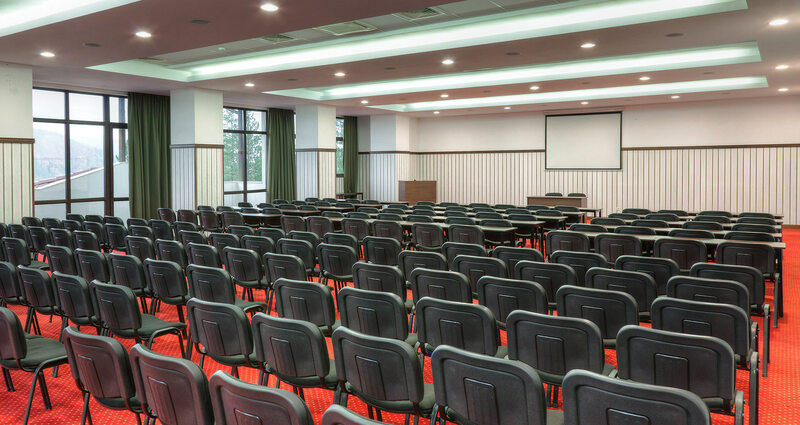 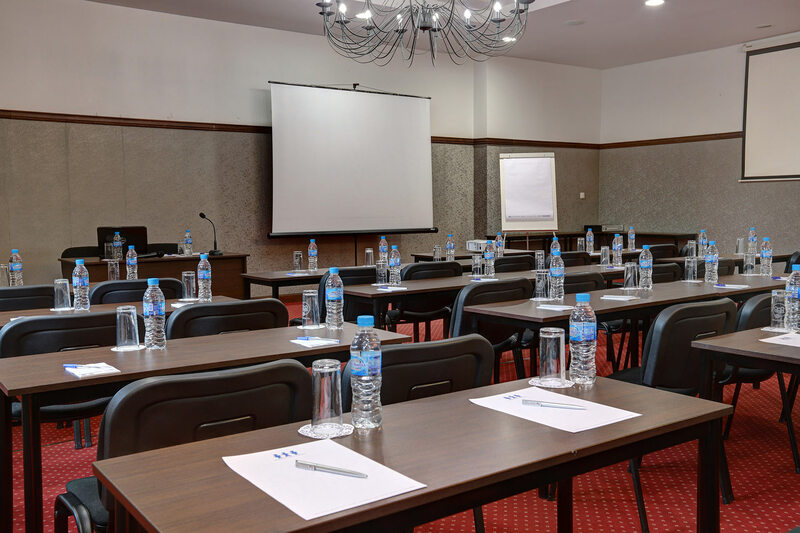 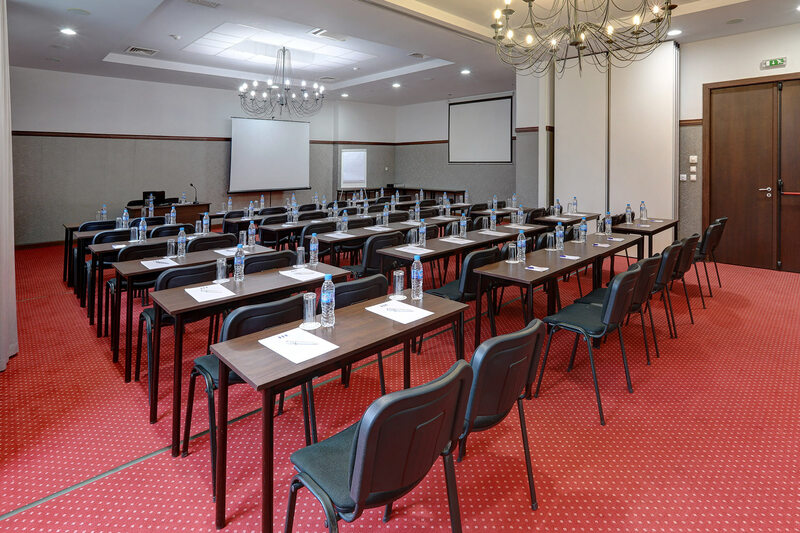 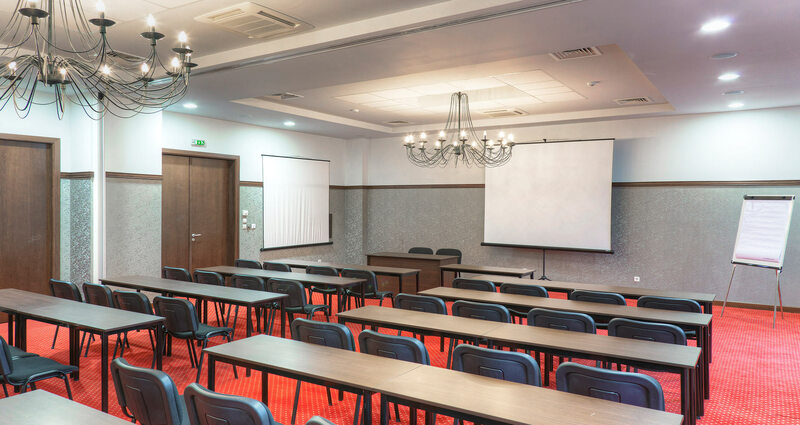 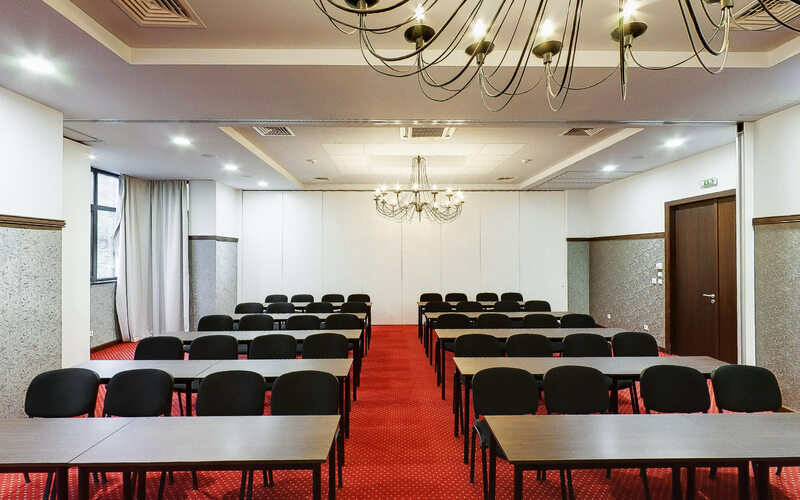 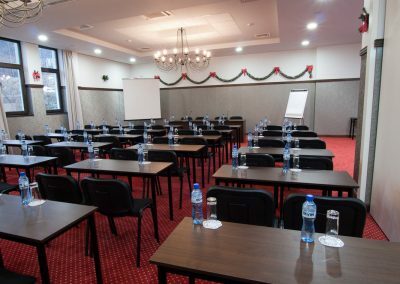 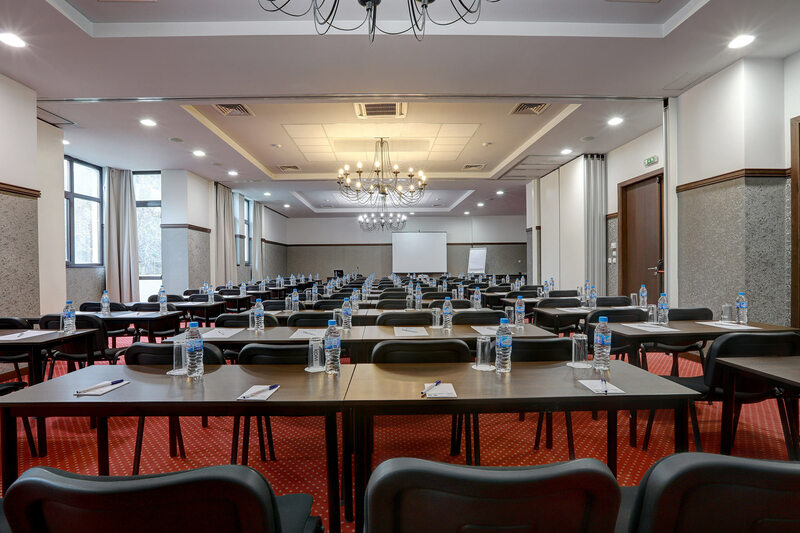 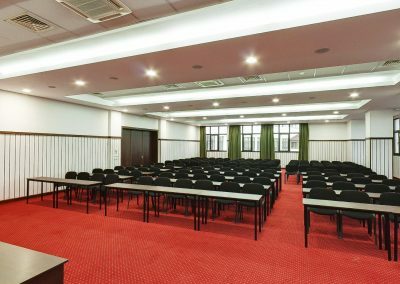 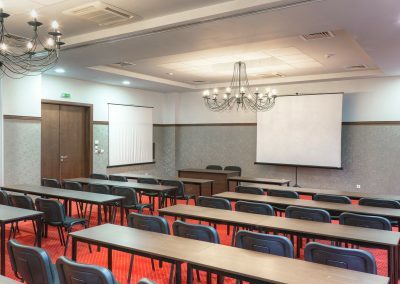 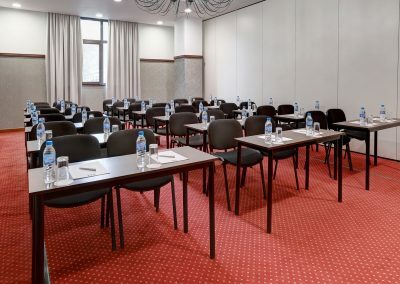 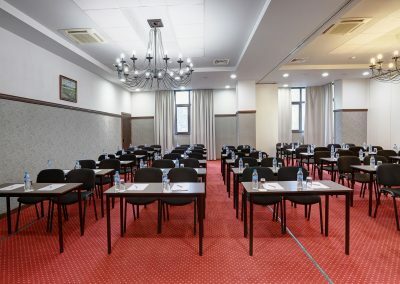 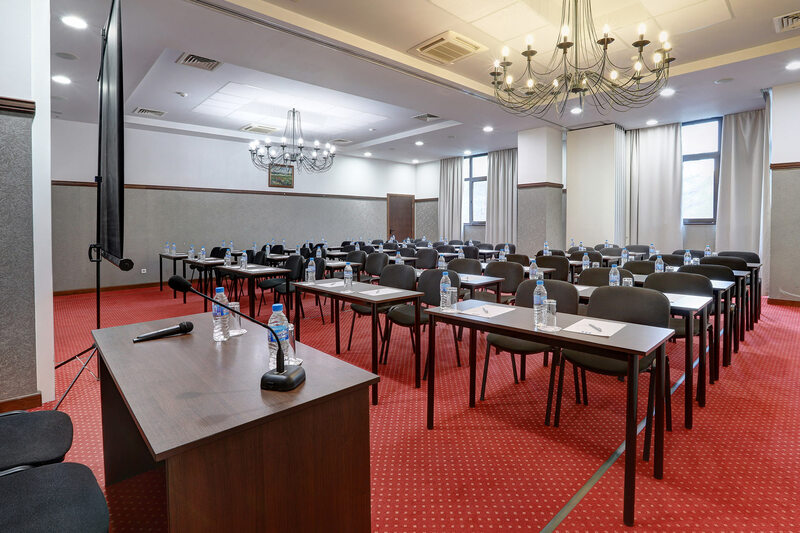 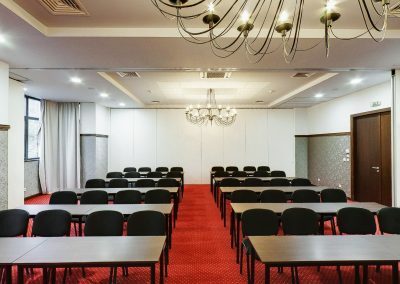 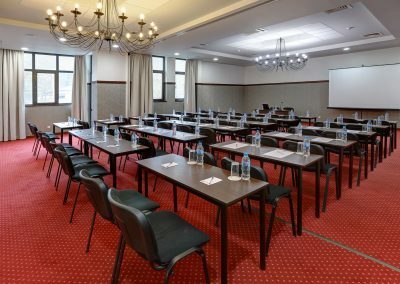 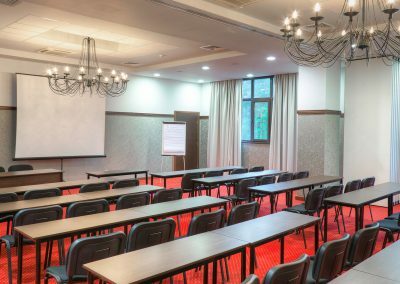 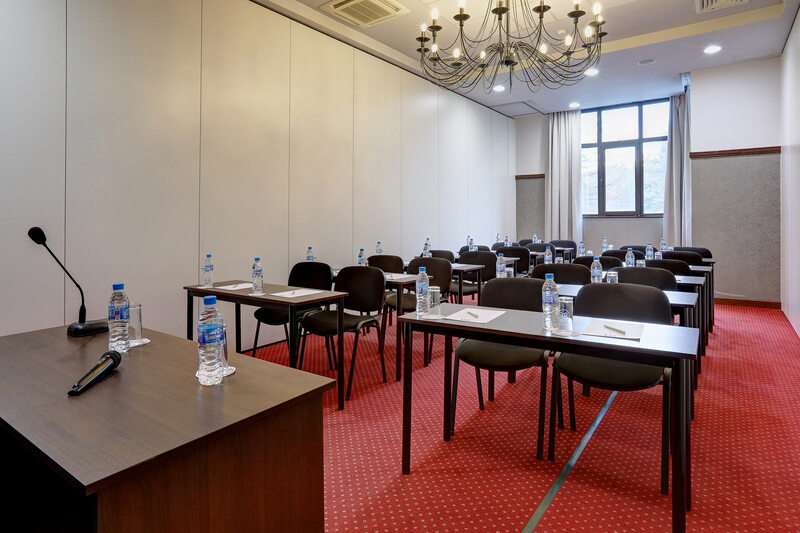 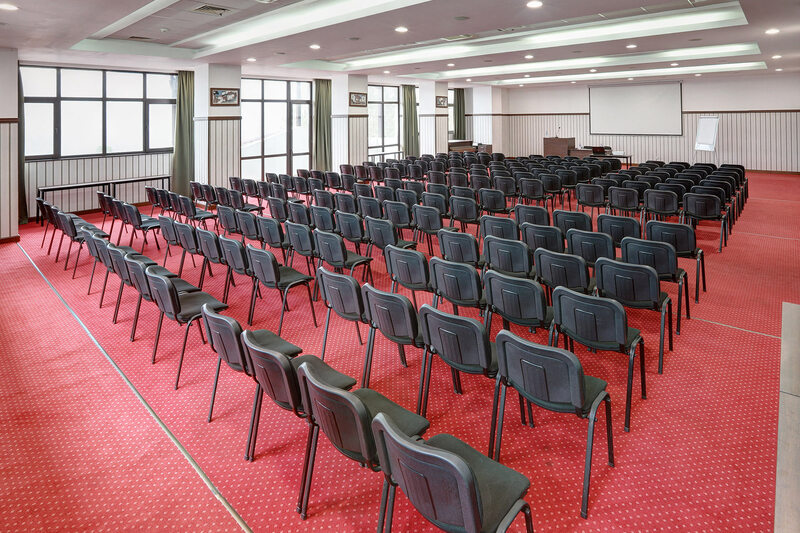 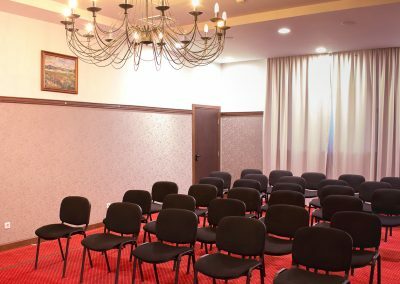 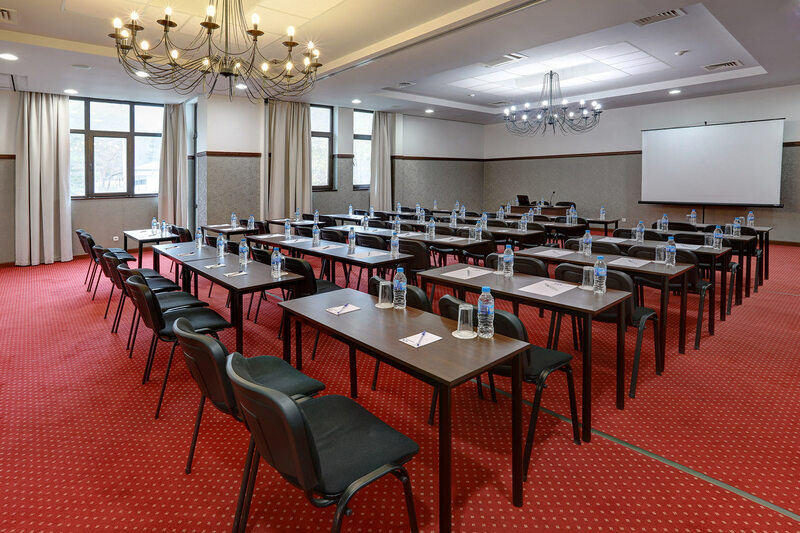 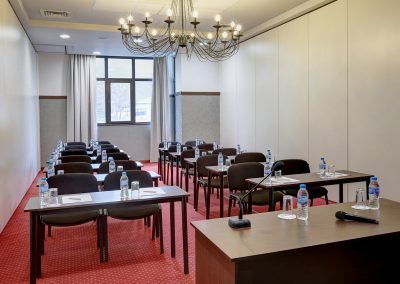 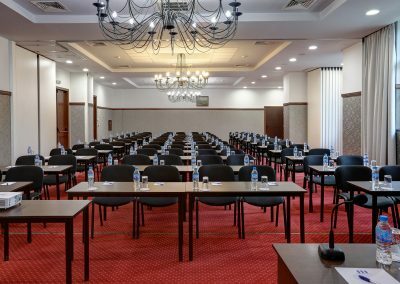 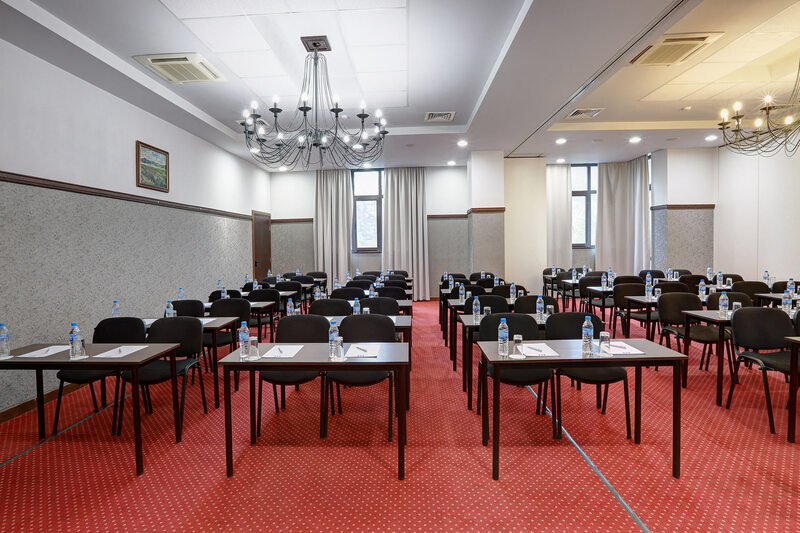 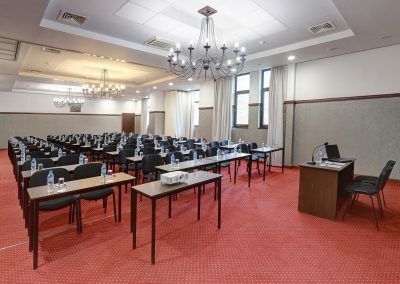 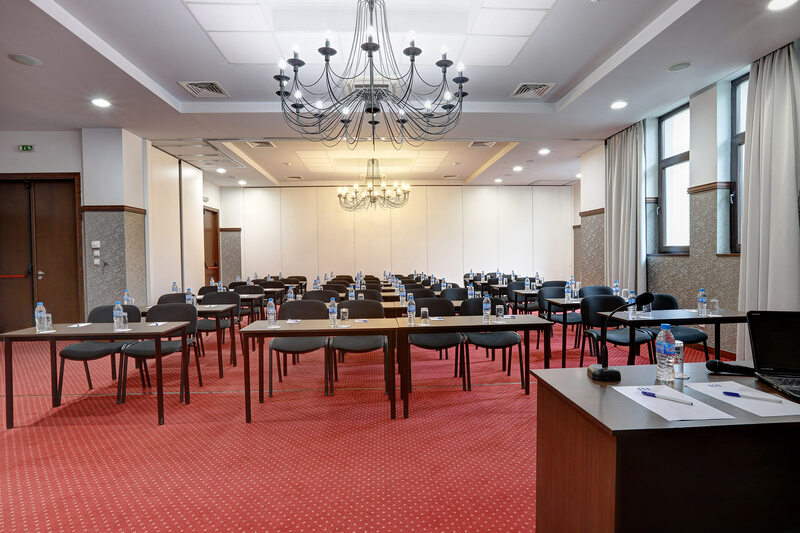 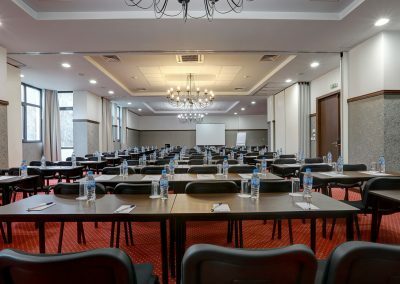 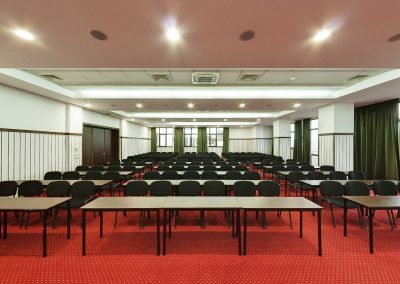 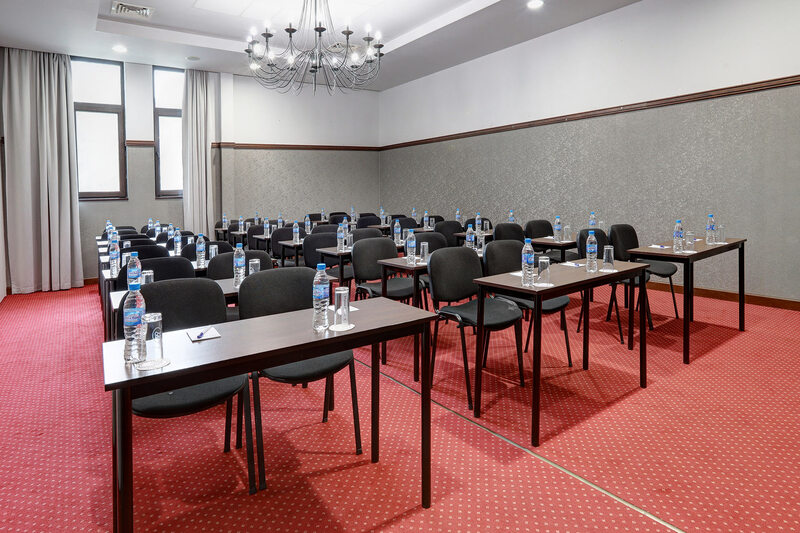 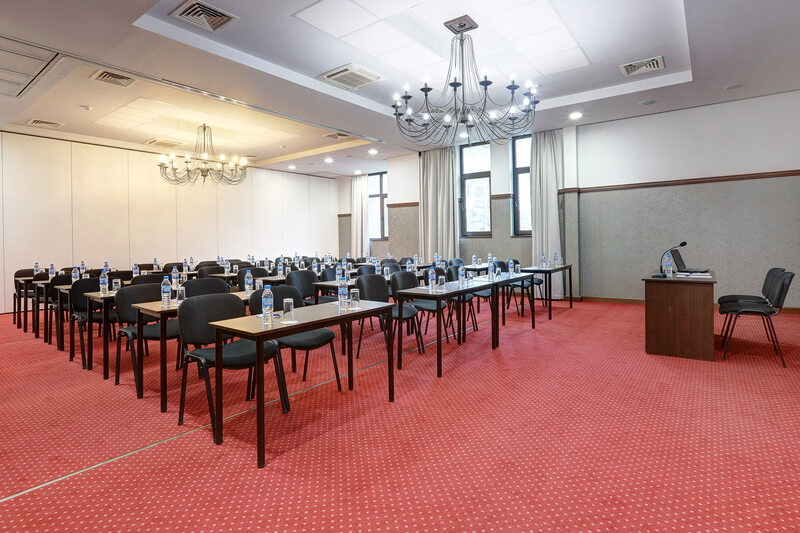 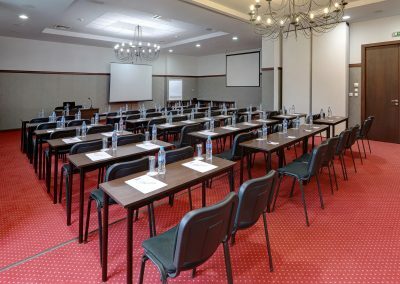 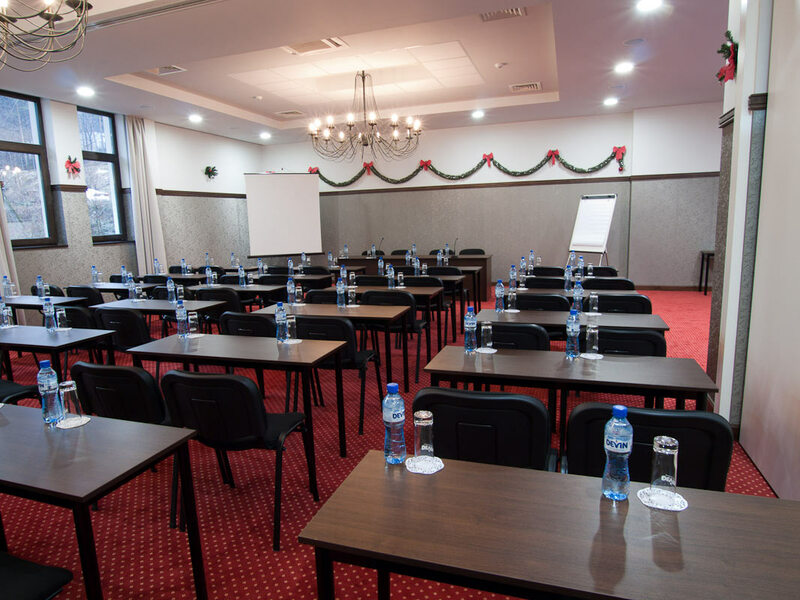 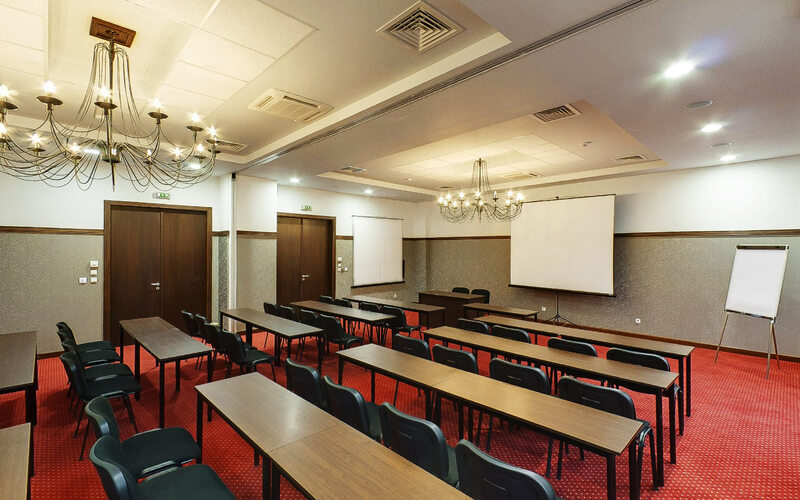 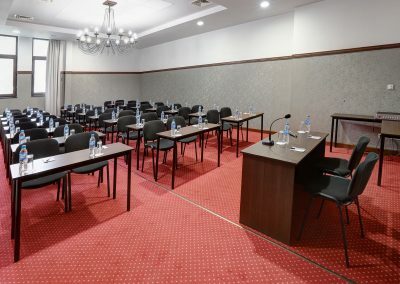 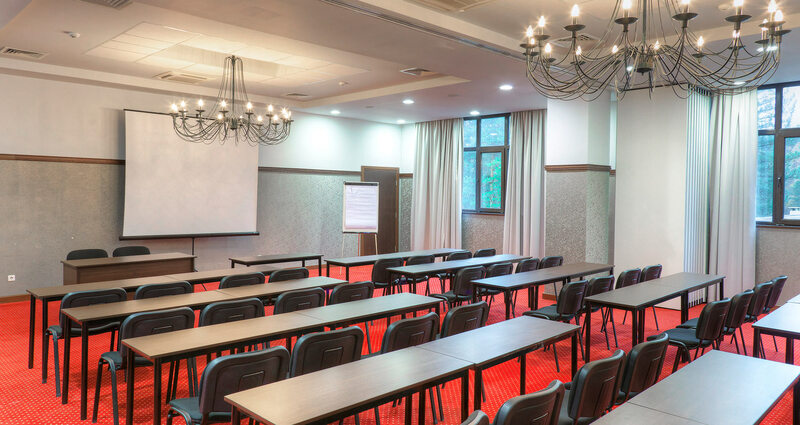 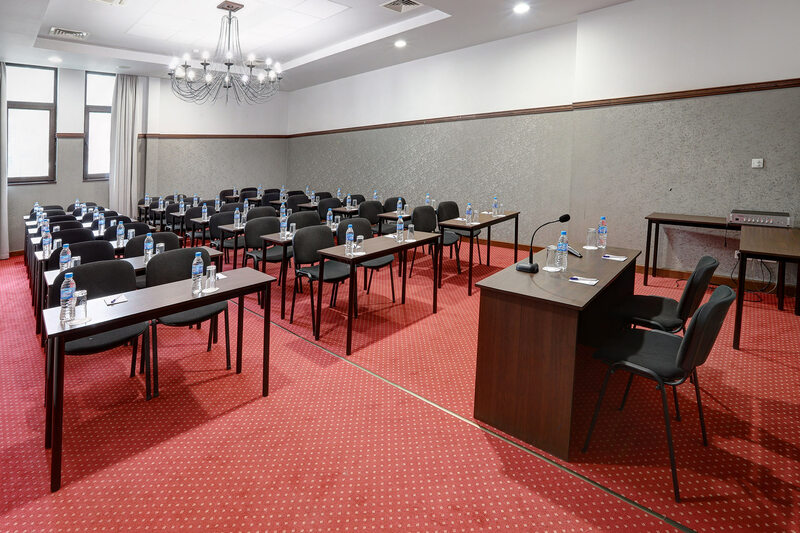 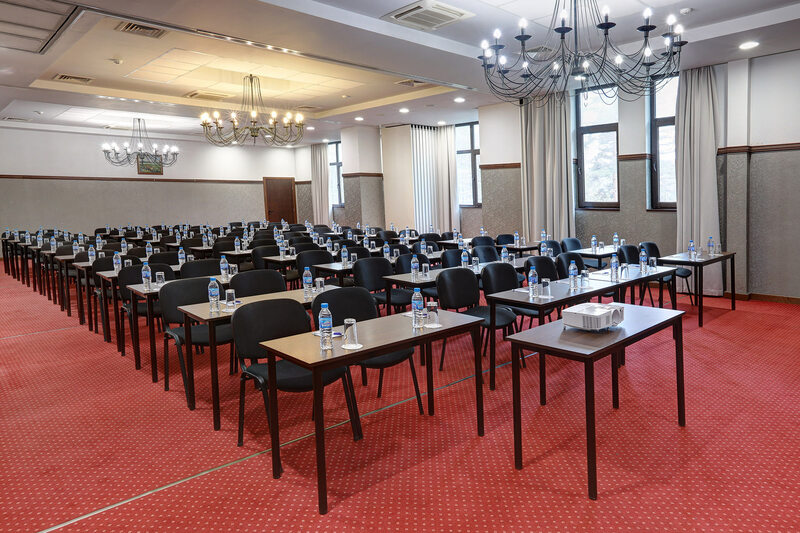 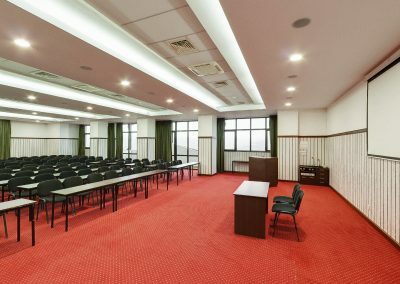 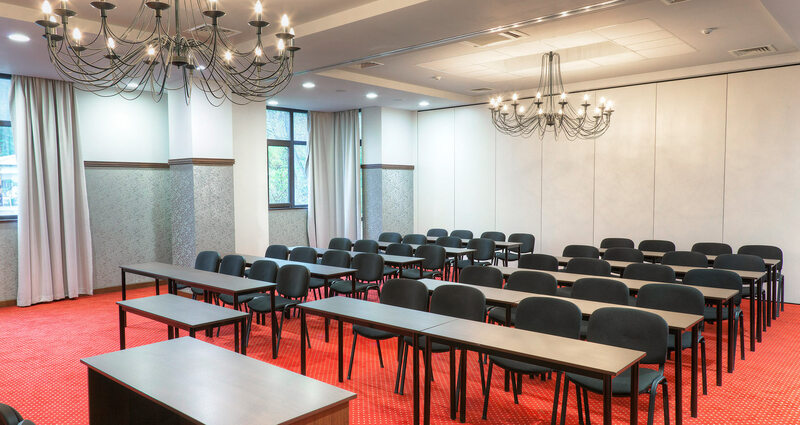 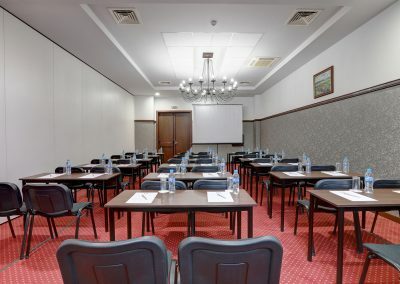 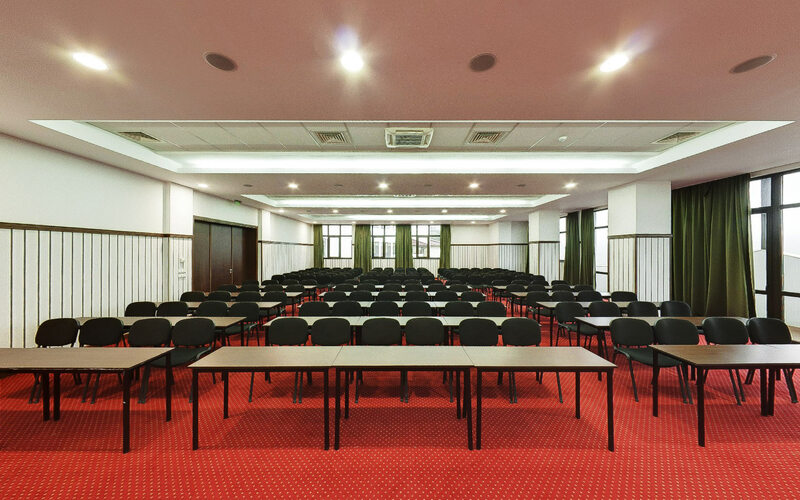 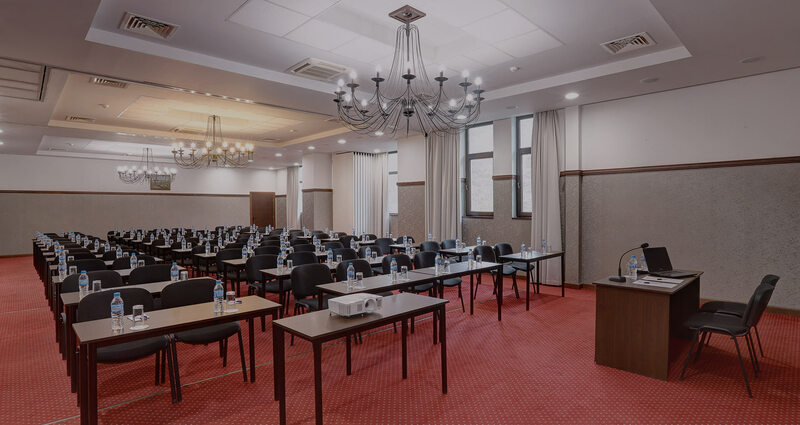 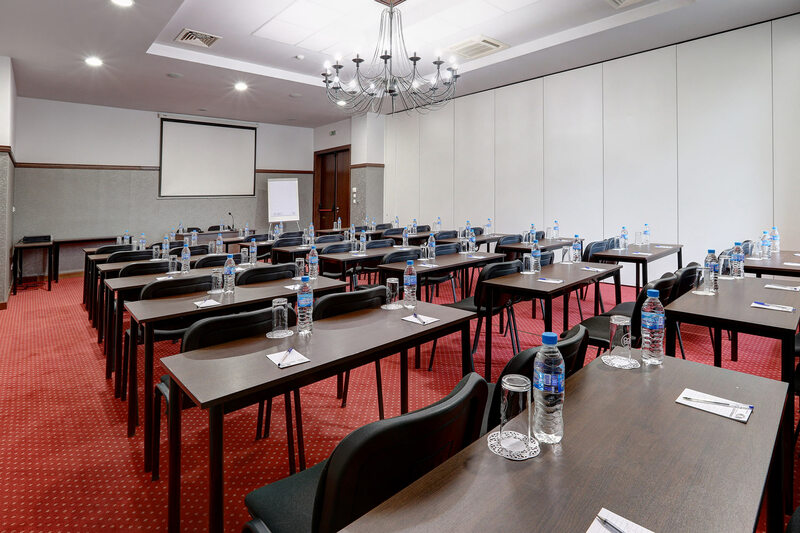 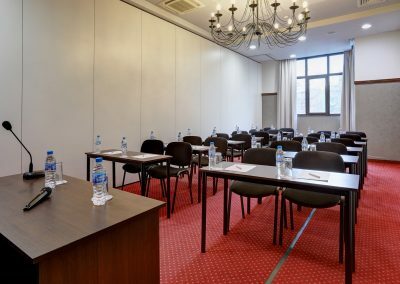 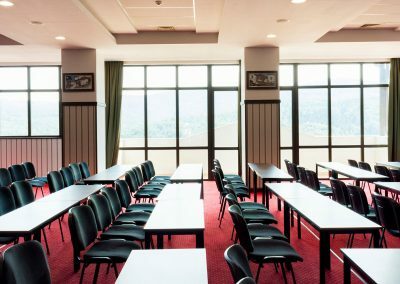 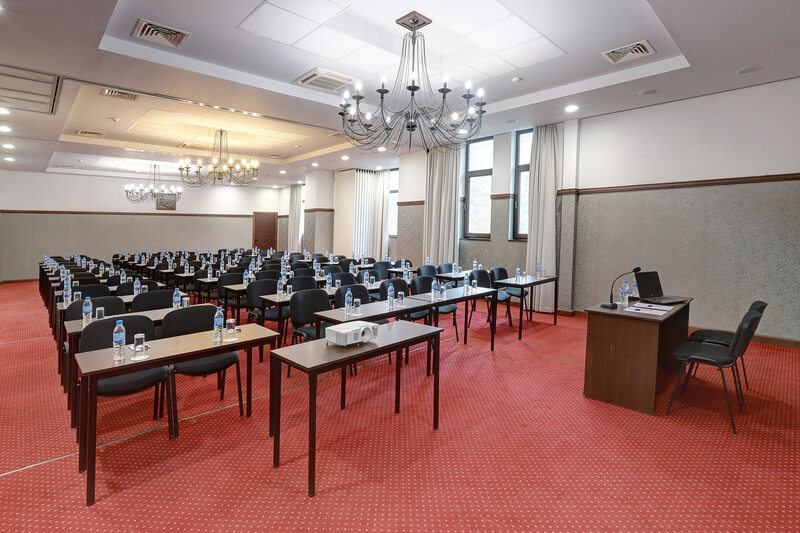 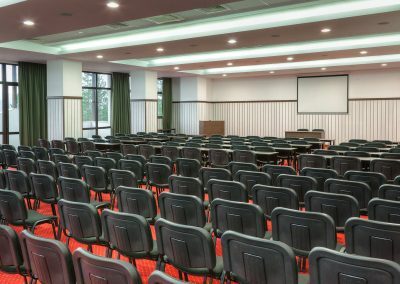 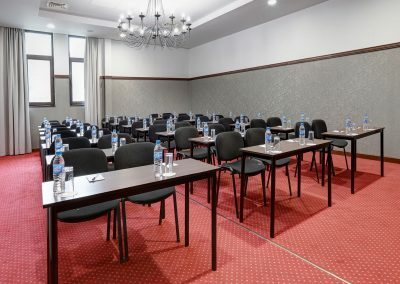 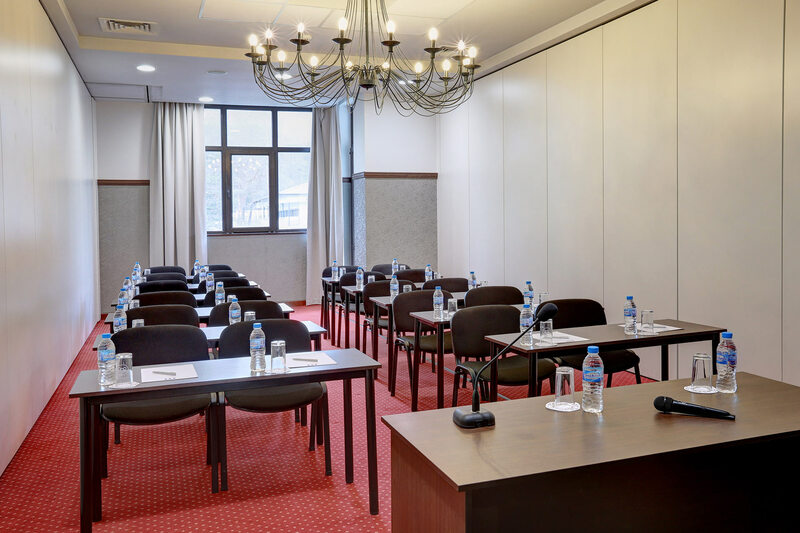 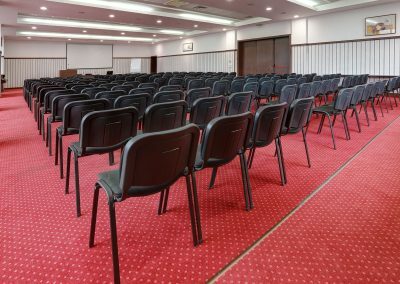 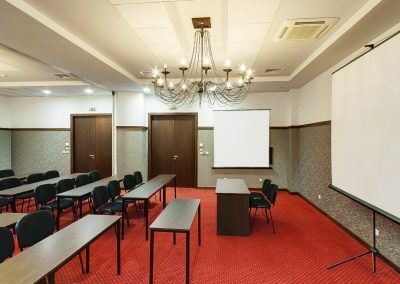 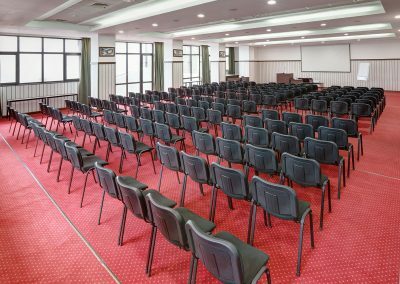 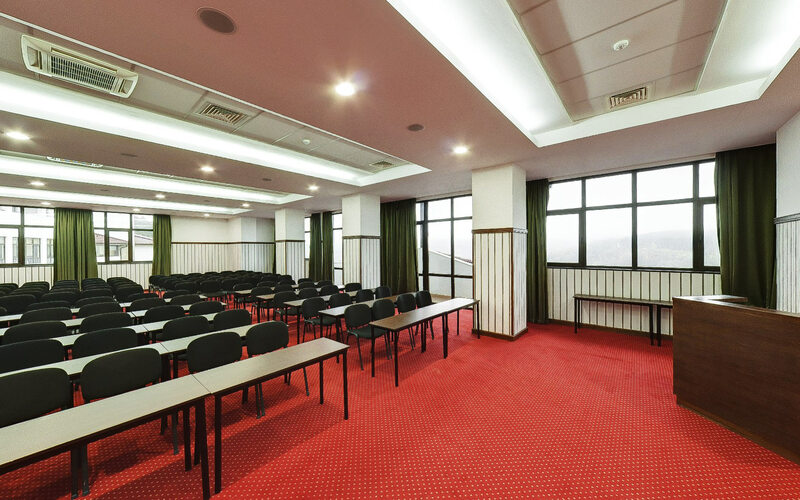 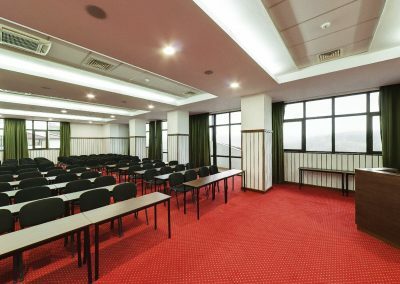 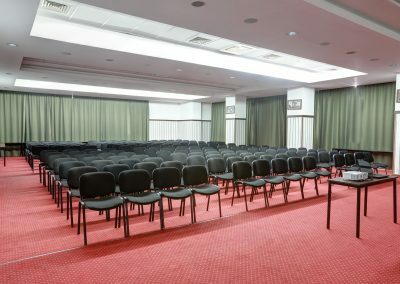 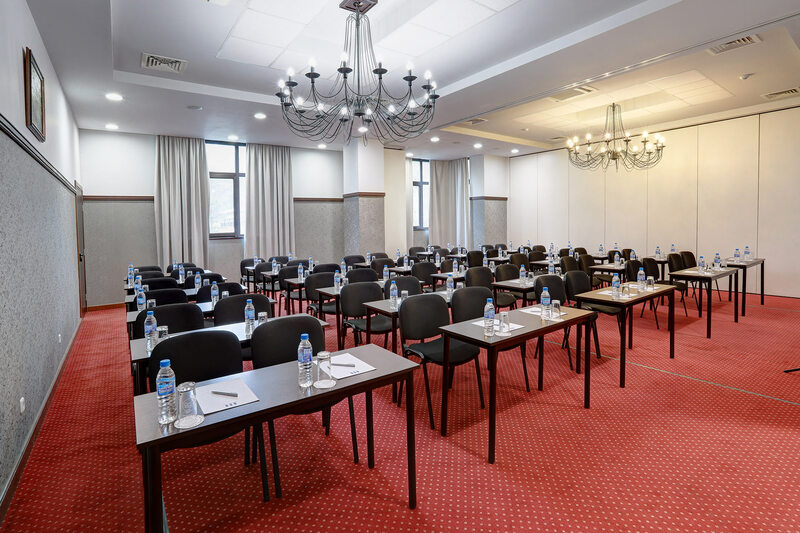 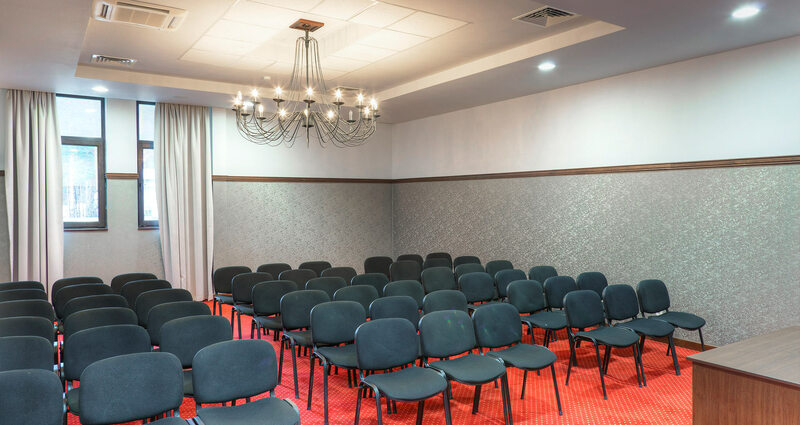 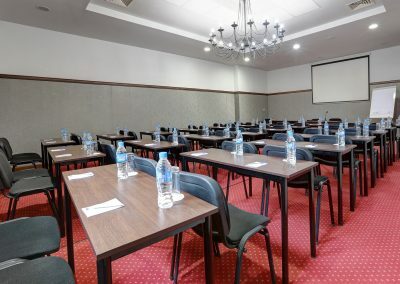 Besides the above mentioned facilities, available in all halls, the Tryavna hall disposes of independent built-in audio system and screen sized 332cm/186cm. 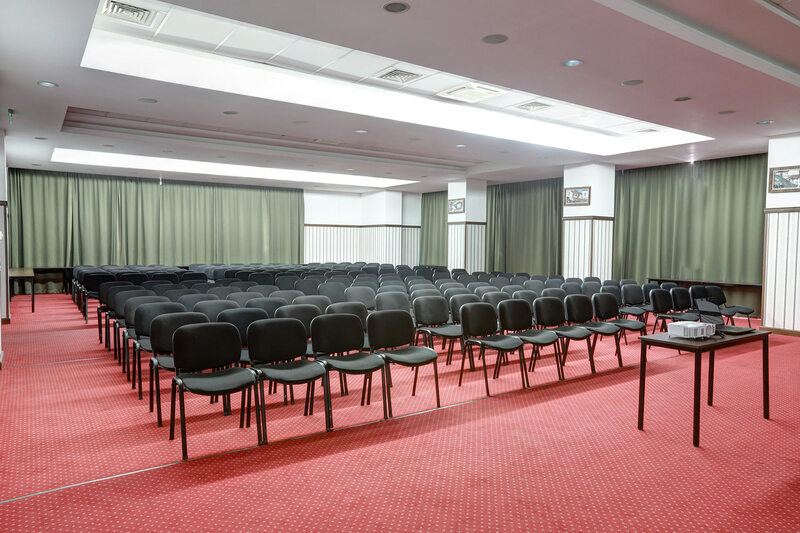 Thanks to the specialized soundproof Huppe screen walls the Varna and Burgas halls can be joined into Black Sea hall with maximum capacity of 100 places. 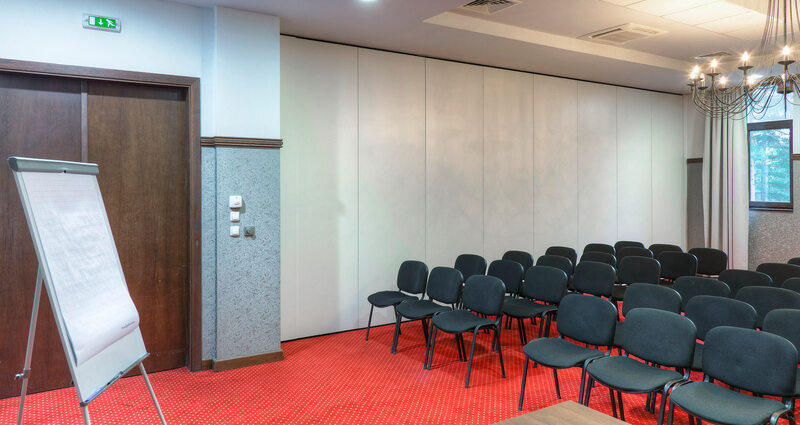 Thanks to the specialized soundproof Huppe screen walls the Varna and Sofia halls can be joined into Hemus hall with maximum capacity of 110 places. 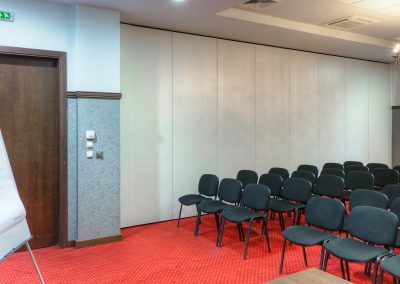 Thanks to the specialized soundproof Huppe screen walls the Burgas, Varna and Sofia halls can be joined into Bulgaria hall with maximum capacity of 190 places.